Is your data secure online? Or is it being harvested and used for all the wrong reasons? Even if not so, is it being accessed without your consent? Well, if history serves us right, then we can acknowledge that our personal data is at times not that safe after all, even on the most secure platforms such as social media. So how can one go about browsing the internet while keeping her data secure? Below are four ways of securing your data online. First of all, install antivirus software that’s capable of scanning not only viruses but also HTTPS-related traffic to cushion you against phishing attacks. With solid software, your web communication will be analyzed thereby preventing you from visiting malicious websites. On top of that, it will also protect you from all forms of ransomware attacks. Make use of a two-factor authentication feature in all areas related to your online information. This should guarantee the safety of your information in case your password gets compromised. It also goes without saying that your mobile device will be at a high risk since it is the point of authenticating your online information access. For this reason, you’ll need to be extra cautious with it too. Safeguard your internet-enabled devices such as desktops, laptops, tablets, and phones using passwords, PIN, locks, and more. Talking of PIN and password, avoid setting passwords such as mypassoword123, or PINs like 6789. Instead, try something unpredictable like justkiddingin99ways! Antivirus and other forms of online safety can only do so much; you need to reinforce them with physical controls. Most people don’t change their passwords that often and it causes a lot of cyber attacks. Back up your data both on physical and online storages. This is by far the most overlooked form of data safety. Backing up data ensures that you have a duplicate of your information just in case it gets stolen or deleted. With backup, you can easily retrieve files from the storage. Consider using both cold and hot storage. 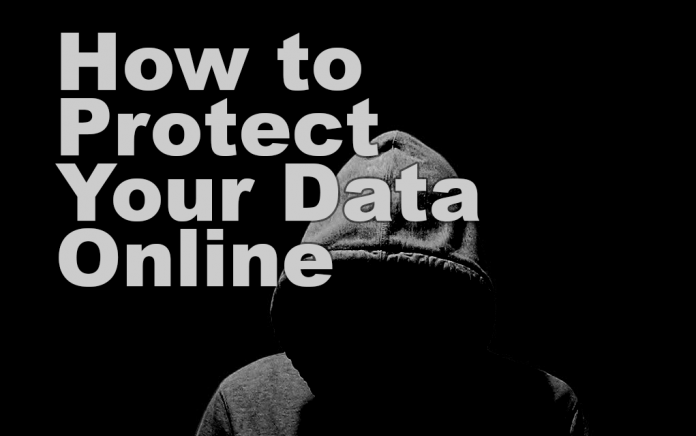 This means that you should have your data backed up both online and offline to ensure that you can access the backup from anywhere and that you can also have offline copies that can’t be compromised by online-related threats such as hacking. And even as you create backups, consider creating them on different devices such as hardware hard disks, so that you can recover them in case the original device gets compromised or distorted. We understand how hard it is to get data protection and privacy right, and we certainly hope that with the worldwide adoption of strict data protection regulations such as the GDPR in the EU, things should certainly get better. Above all, always remember that the privacy of your data starts with you. Make sure that your role in the whole cycle is well played, and you will be unlikely to encounter any data-related safety infringements. For more information, check out the insightful infographic below!